US President Donald Trump believes that he is "being very tough" in personal talks with his Russian counterpart Vladimir Putin, the American leader said in an interview with CBS television channel. Asked why Trump never had a harsh word for Vladimir Putin publicly, the US president answered that "you don't know what I talked about with Putin in the meeting prior to the press conference." "I'm the one that gave Ukraine offensive weapons and tank killers", Trump said. "[Former US President Barack] Obama didn't. You know what he sent? He sent pillows and blankets. 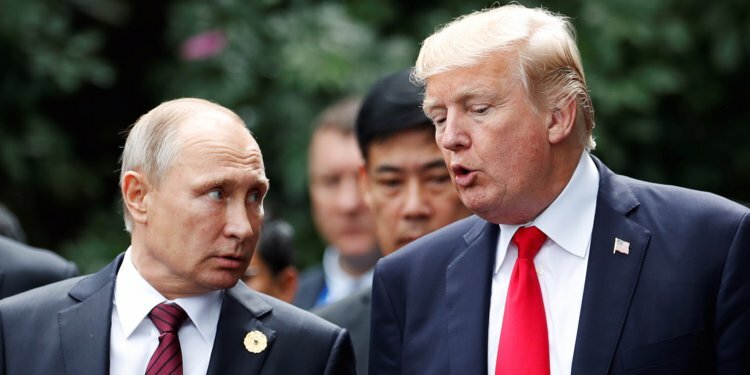 I'm the one and he's [Obama] the one that gave away a part of Ukraine where Russia now has this…"
"I think I'm very tough with him [Putin] personally," Trump stated. "I had a meeting with him. The two of us. It was a very tough meeting and it was a very good meeting." The first full-fledged talks between Russian President Vladimir Putin and his US counterpart Donald Trump took place in Finland’s capital of Helsinki on July 16. The one-on-one meeting between Putin and Trump lasted for more than two hours. Later, both delegation members joined the presidents for a larger working lunch. The expanded session also lasted for roughly two hours, with the talks covering crucial bilateral and global issues. Both presidents said after the summit that a big step forward had been taken.